Desert Voices was founded in 1988, and has since grown to become one of Arizona’s premier GLBTS choruses. We are a unique mix GLBTS people and straight allies with a commitment to fostering an ongoing and positive gay, lesbian, bisexual, and transgender presence in our community. Anyone supportive is always welcome to come sing with us. Desert Voices is a proud member of GALA Choruses, American Choral Directors Association, and Chorus America. GALA Choruses is a world-wide collective of over 180 gay and lesbian choruses who empower LGBTQ communities around the world with inspirational song and demonstrations of unity. This commitment to larger causes is one the reasons Desert Voices events have such a feel-good atmosphere. You really have to experience this to know what I mean 🙂 So grab your tickets to the next amazing performance and see what all the fuss is about! 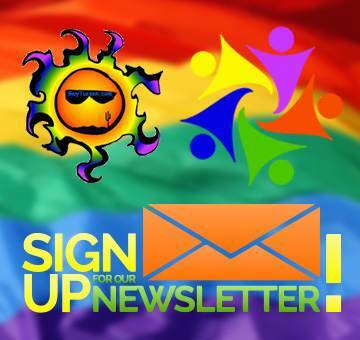 View the Season 29 Concert Schedule on GayTucson! Can you believe we are on the 29th season! Time sure does fly 😉 We are very pleased to provide the complete schedule of concerts from our incredible performers. Click here for the Season 28 Schedule and be sure to check back as it is updated regularly!